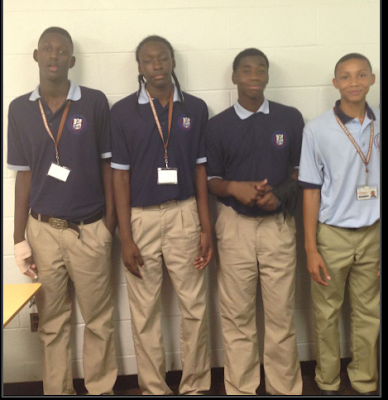 BASKETBALL SPOTLIGHT NEWS: Paterson, NJ's Quartet Joins Renaissance Movement! Paterson, NJ's Quartet Joins Renaissance Movement! A few years ago the closing of Paterson Catholic ended an era of one of the dominate programs in North Jersey. Tommie Patterson, a former coach at Paterson Catholic is looking to bring the legacy back by up starting a brand new basketball program at the Paterson Charter School Of Science and Technology (K-12). Patterson understands that this program is in the beginning stages but he’s happy to return home. “I choose to work at PCSST because we have a reputation of discipline and structure within the community. Parents look forward to sending their kids to our school. It feels good to be back home where I started and another chance to do it all over again" said Patterson. While other basketball coaches of new programs would focus on transfers to get going Patterson has decided to take his time and rebuild with the youth. This year he has landed four of the top grammar school players in the city of Paterson. They are 8th Graders Armoni Sexton and Ta’wan Grier and joining them will be super talented 7th Graders Dejournal Cook and Germir Robinson. Patterson is enthused that these youngsters have come aboard. “This is great for the program and it’s just the beginning. We have so much young talent in the city and I enjoy watching these youngsters mature. I just want to encourage them to excel in the classroom and on the floor. I believe these four have started a new trend and now a lot of the top younger players will want to come to PCSST" he finished. The Paterson Quartet will be seen on the Basketball Spotlight circuit playing with the Playaz Basketball Club. We will keep you updated on their progress and wish them luck in bringing the pride back to the “Silk City”.